Fans of classical music in Montgomery County, rejoice! Montco boasts six orchestras. You can catch the Fabulous Philadelphians in the city, but the suburbs are a hotbed of classic concerts too. Music at Abington, presents a community concert series featuring professional performance ensembles and soloists in addition to the resident Abington Symphony Orchestra and Oratorio Choir. Admission is free, but a freewill offering welcomed. This collection of 50 talented musicians has been bringing sweeping musical scores to suburban audiences since 1951. The Ambler Symphony Orchestra's season generally comprises three concerts for adults and one for children, in an effort to spark a love of classical music in future generations. A yearly highlight is the Christmas concert at the historic (and gorgeously restored) Ambler Theater. Under the capable baton of Michael Smith, a Royersford native, the Audubon Symphony Orchestra has an active season that includes concerts each winter and spring. The collection of musicians had a rather humble beginning (as a community orchestra organized by a local YMCA), but the symphony now readily tackles the classics with aplomb. The Lower Merion Symphony has been performing along the Main Line for nearly 25 years. 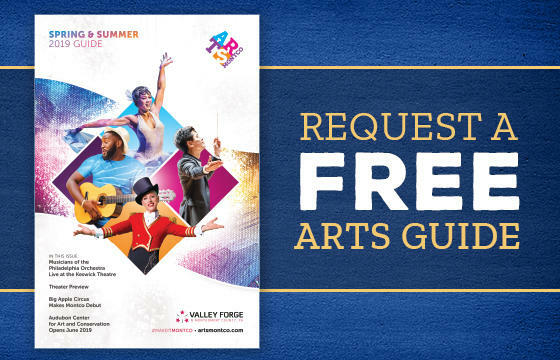 The symphony is unique among Montgomery County orchestras in that it continues to perform all of its concerts for free. In the 45-year history of the Southeastern Pennsylvania Symphony Orchestra, it has built a reputation as one of the finest in the region. The orchestra's four-concert season features solo performances from noted musicians on cello, violin, and piano, and each performance includes a pre-concert conversation with Maestro Allan Scott and the featured artist. The Pennsylvania Philharmonic grew out of the former Pottstown Symphony Orchestra, which had a 44-year history of musicianship in Montgomery County. Concert sites dot the county, including performances at the Upper Dublin School District Performing Arts Center in Fort Washington and Pottstown High School. Among the most highly regraded orchestras in the country, the Philadelphia Orchestra has been captivating audiences for more than a century. Just a short drive from Montgomery County, a concert by the Philadelphia Orchestra is a must for any lover of classical music. International concert cellist, chamber musician, and music teacher, Steve Kramer offers high-class entertainment for corporate events, private functions, and weddings. String players, wind players, and percussionists are available in smaller and larger ensembles.